Artist Canvas – 17 mil – perfect for wall décor, POP displays and more, this lightweight poly/cotton matte Canvas looks great mounted or framed and is also easily rolled and shipped. Hems, Grommets and Pole Pockets options are available for additional ease of hanging. Polyester Banners – 5oz. and 9oz. – Ideal for trade show graphics, soft signage, and interior decoration these 100% polyester banners are wrinkle-resistant and printed using a superior quality dye sublimation process. They’re washable, too! We oversee your job from start to finish and guarantee the finest quality products with fast production times and unbeatable prices. Small quantities and special requirements are no problem! We know the printing business! A brochure is the most versatile printed media available for promotion. A brochure has no boundaries for length or binding styles and can be multifunctional as an ad, product guide or “gift” to a client. A brochure can be anything you and your designer envision as an instrument to educate clientele on a product or idea. A brochure is an opportunity for a company or individual to show and explain their product. To create a successful piece, your designer must understand your product, your purpose and your goal. We take the time to understand your product and your clients. We understand that there will be times when the brochure is the first (or only) piece of information a consumer receives, and therefore, the sole tool used for making purchase decisions. We work closely with our clients to produce a piece that will stand alone and put your best foot forward. Make an appointment with your designer at IMAGIC to create a marketing piece that will accomplish your objectives. We can print from your computer files or we can help you with layout and design. 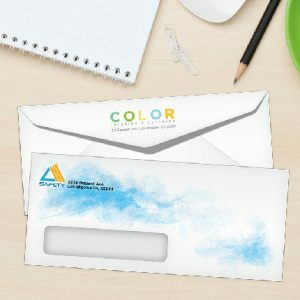 We can help with marketing ideas and solutions and even handle your bulk mail projects.